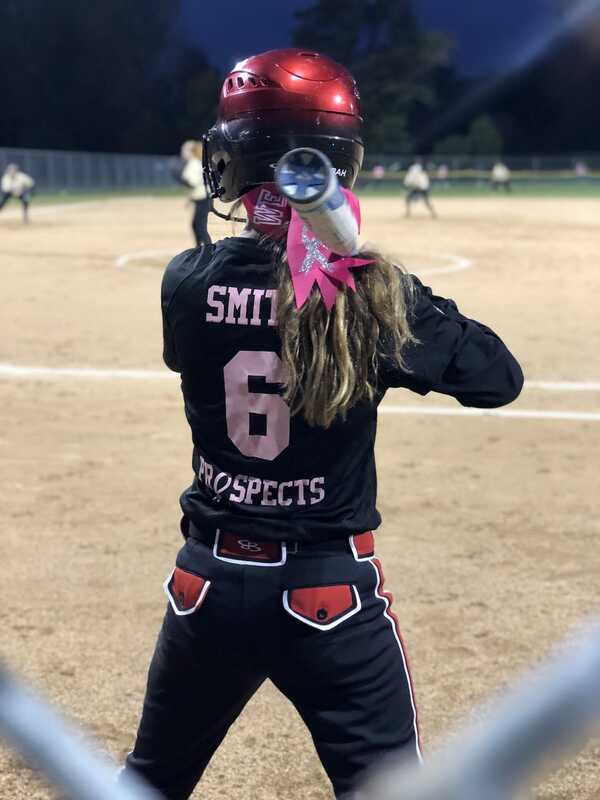 It is not news that I spend hundreds of hours on the sidelines of the baseball and softball diamond. I’m incredibly proud of both of my small people. 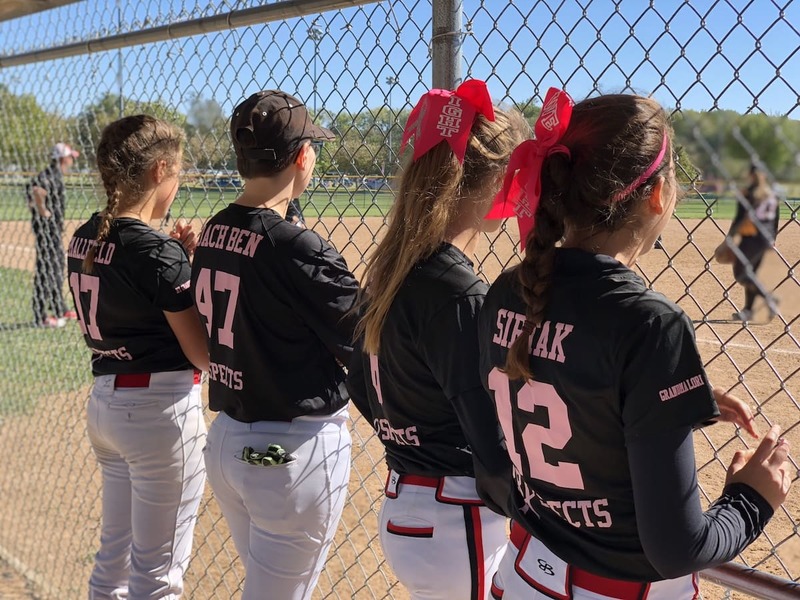 I know some people think we are crazy, but the spring and summer have us alternating weekends for tournaments between the two of them – from the end of March until the end of July (and that doesn’t include their league games during the week.) In the Fall, we do the same -one tournament after another until the weather turns. There is something special about seeing these kids learn to be a good teammate, to operate as a team and to LOOK the part. 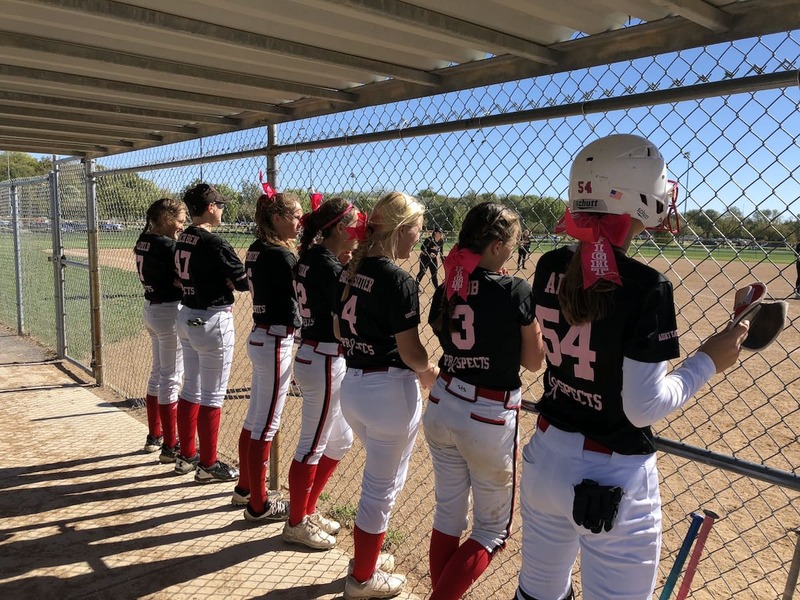 I’m partial to my daughter’s team colors – red, white and black. They look so very good in the different combinations, but recently, I had the privilege of helping to design a special tournament shirt. 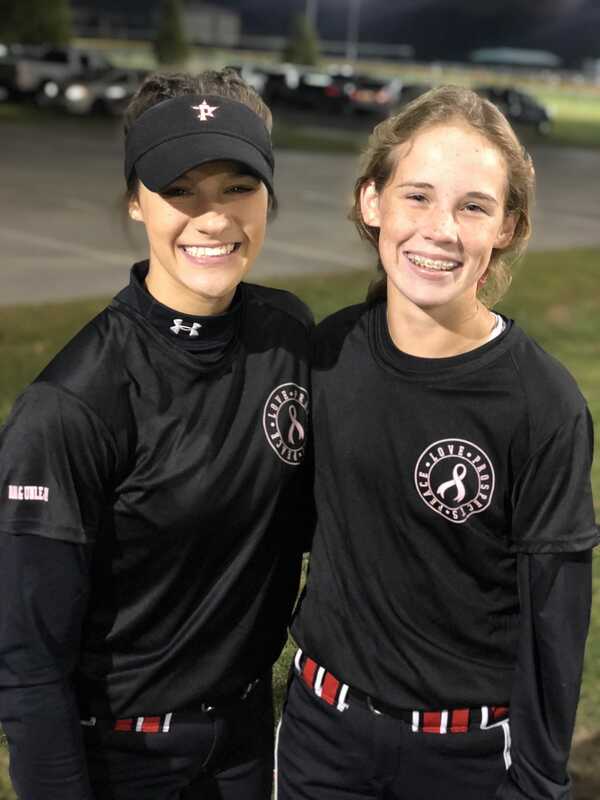 I cannot tell you how easy the process was…..and this was important for these girls. 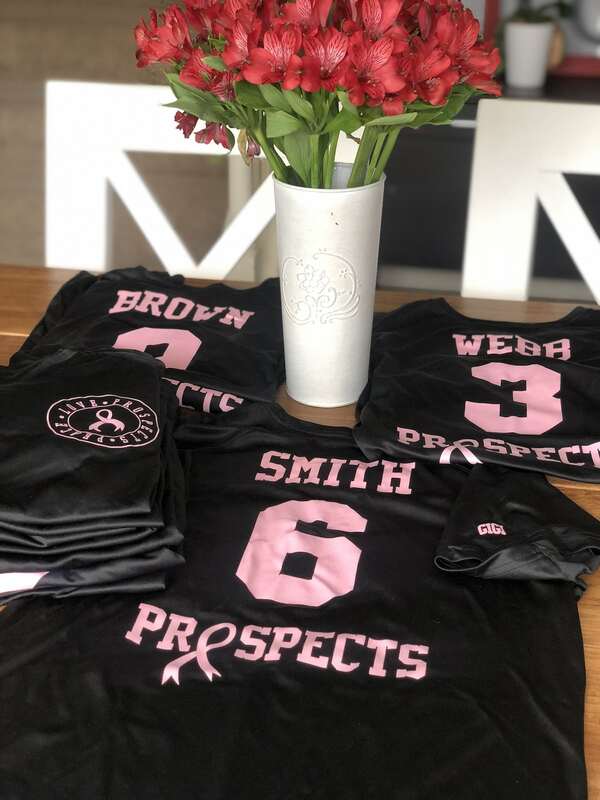 They have played in a special breast cancer tournament for the last few year, but have never had shirts personalized for the games. This year was different. The team manager gave me an idea of what she was hoping to see, and I headed to Custom Ink to get it done. It was so much fun to partner with them. As I’ve never done anything like this, I wasn’t sure where to begin, but the lovely people at Custom Ink made it a breeze. 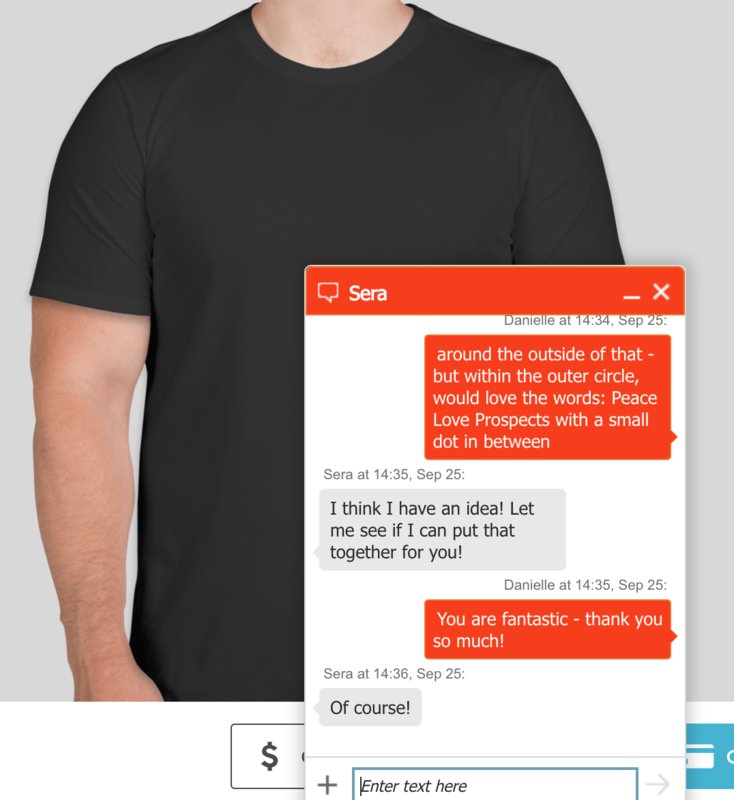 I started by finding the shirt we wanted for the team.By using the chat feature, I connected to a rep named Sera. 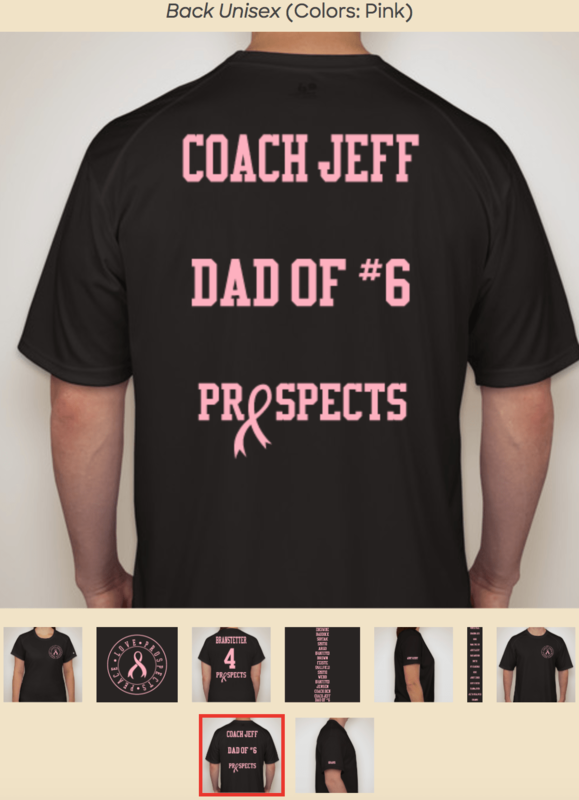 I described our hopes for the shirt – the girl’s names and numbers on the back, the team name – Prospects including the breast cancer ribbon in place of the ‘o’, a design including the team motto – Peace Love Prospects on the front pocket and a name on the right sleeve of someone the girls wanted to honor. We designed for the girls and for the coaches. It took less than 30 minutes of Sera creating our vision and seeing samples to get the shirt just right. 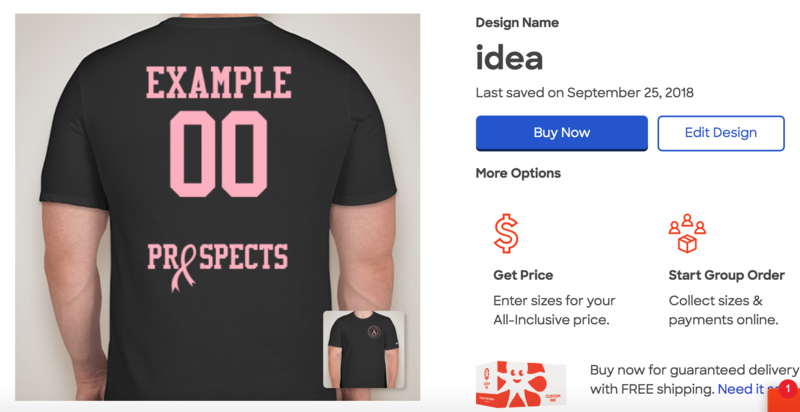 And then I received a confirmation email with the design perfected and a list of the girls’ names, numbers and honored name so that I could approve and get them shipped out. I was giddy when they arrived. They were JUST what we had hoped to see. And it was a pure joy to pass them out to the girls and see their excitement. Dang, they looked good on the diamond. And it was special to honor both the tournament and family and friends affected by breast cancer. 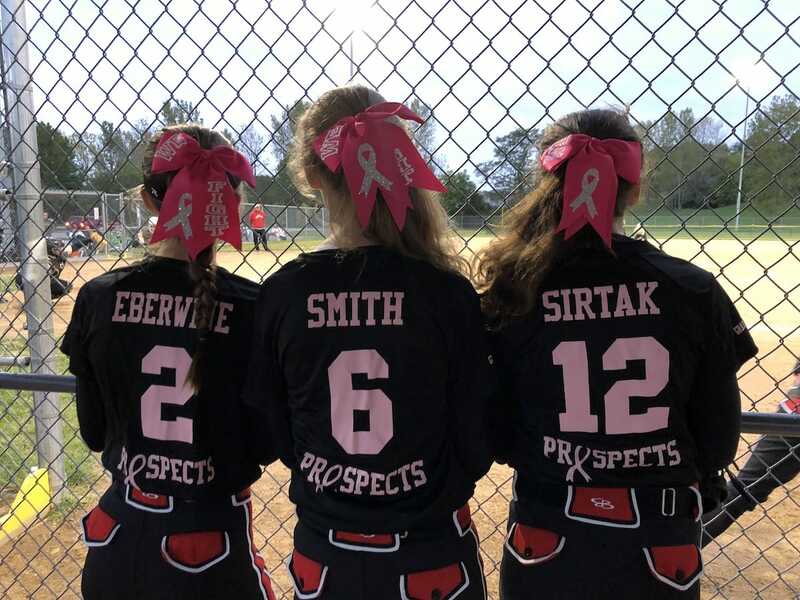 As a side note – a few of the girls’s shirts needed to be corrected as the ‘honored names’ didn’t match the individual girl, but Custom Ink’s customer service is stellar. They immediately offered to make the changes and get new shirts to us. The process was easy. The product is top notch. And the customer service was a dream. 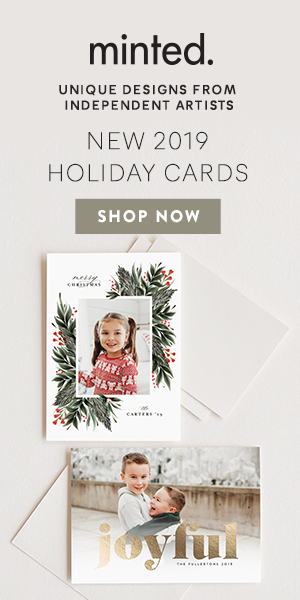 Disclosure: It was so much fun to partner with Custom Ink to share the ease of this process with you. As always, all thoughts and opinions are mine and mine alone.